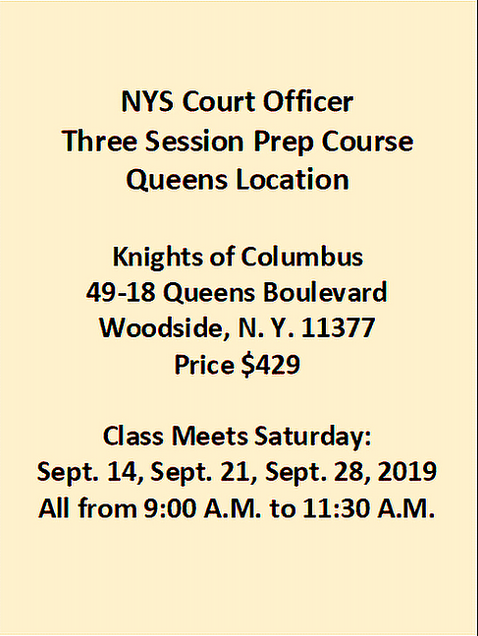 Law Enforcement Service Systems Inc.and Civil Service Success 3 session NYS Court Officer Class Westchester Location. 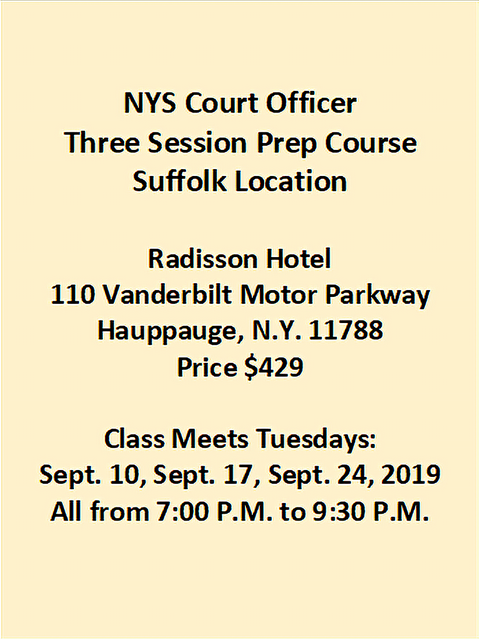 Also included in course is online practice material to be done for homework in between classes. 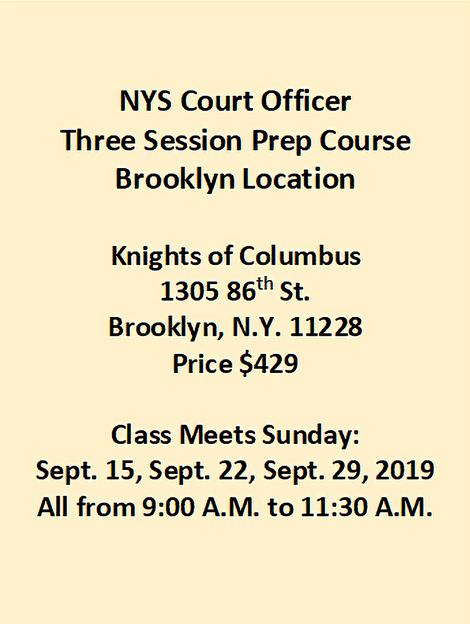 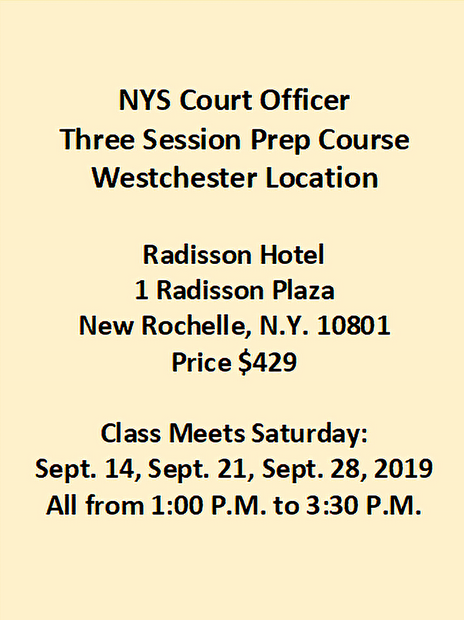 Class meets Saturday afternoons from 1:00 P.M. to 3:30 P.M. at Radisson Hotel, 1 Radisson Plaza, New Rochelle, N.Y. 10801 on September 14th, September 21st, and September 28th, 2019.